All internationally educated nurses who have never been registered to practise as a registered nurse in Canada will be required to submit their documents and credentials to the National Nursing Assessment Service (NNAS) for assessment and verification, before applying to become registered to practise with the Nurses Association of New Brunswick (NANB). NNAS is a national online application service developed by the nursing regulatory bodies across Canada. In order to practise as a registered nurse (RN) in New Brunswick, you must be registered with the Nurses Association of New Brunswick (NANB). It is illegal to practise as a registered nurse without a valid NANB registration. In New Brunswick, registered nurse education programs are at the post-secondary (university) level after 12 years of elementary and secondary schooling. Registered nurse education includes theory and clinical instruction in medical, surgical, obstetrical (maternal/newborn), pediatrics (child health), psychiatric (mental health) as well as gerontology and community health nursing. Please do not apply to NANB until you have completed the application process with the National Nursing Assessment Service (NNAS) and have received the NNAS Advisory Report. This table indicates some of the costs related to becoming registered in New Brunswick. NANB Registration fee Fee Schedule Due when eligible for registration. There are two parts to the application process to become a registered nurse (RN) in New Brunswick. First you must apply to the National Nursing Assessment Service (NNAS) and once you have received the NNAS Advisory Report, you can then apply to the Nurses Association of New Brunswick (NANB). Internationally educated applicants who have never been registered to practise as a registered nurse (RN) in Canada, must submit documents and credentials to the National Nursing Assessment Service (NNAS) for verification and assessment. The NNAS will produce an Advisory Report based on the documentation submitted and an evaluation of the comparability of your nursing education to Canadian standards for entry to practice. Once you have received your NNAS Advisory Report, you may apply to NANB to complete the assessment of eligibility for registration in New Brunswick. The NNAS Advisory Report is required by NANB and becomes a part of your application for registration in New Brunswick. Once you have applied to the NNAS and have received the NNAS Advisory Report, you may then apply to NANB to complete the assessment of eligibility to become a registered nurse in New Brunswick. Your application form must be completed by you as the applicant. You may not have another individual complete the form on your behalf. You must submit proof of legal name to NANB: birth certificate and marriage certificate (if applicable). Only original documents or copies certified by a Notary Public (lawyer) will be accepted. Originals will be returned by mail. It is extremely important for you to provide accurate personal information that is consistent with the information submitted to the NNAS. Any discrepancies, particularly in the spelling of your name(s) and your date of birth will delay the review of your application. Write your complete legal name, maiden name (if applicable) and all other names. If your name has changed since your application to the NNAS was completed, you must provide certified documents that verify the name difference. Your identity, such as spelling of your name(s) and date of birth, must appear consistently on all your documents. Your current home address is required (where you are now living). Please also include a mailing address if different from your physical home address. Provide your telephone number (country code, area code and number) as well as your personal email address where you can be reached if there are questions about your application. List any other Canadian nursing jurisdictions (provinces or territories) to which you have applied for registration. Note the date you applied and indicate whether you know the decision that has been made about your application. You are requested to notify NANB if you apply for and/or become registered with any other Canadian nursing regulatory body during your application process to NANB. If all questions are not answered, your application will not be processed. If you answer “yes” to any of the questions, you will be contacted by NANB to provide further information. A non-refundable processing fee of $460.00 in Canadian funds is required with your application. Visa or MasterCard are accepted. NANB will notify you when your application and processing fee have been received and you will be given your NANB login ID and password to check your information and the Status of Your Application. Applicant files that are incomplete or inactive will be destroyed after two years and a new application and processing fee will be required. Please contact NANB prior to requesting a Criminal Record Check to determine the appropriate time for submission. International applicants who have a permanent resident status must submit a current Criminal Record Check. International applicants on a temporary work visa must obtain a Canadian Criminal Record Check as well as an International Criminal Record Check from each country in which they have practised nursing in the last 5 years. 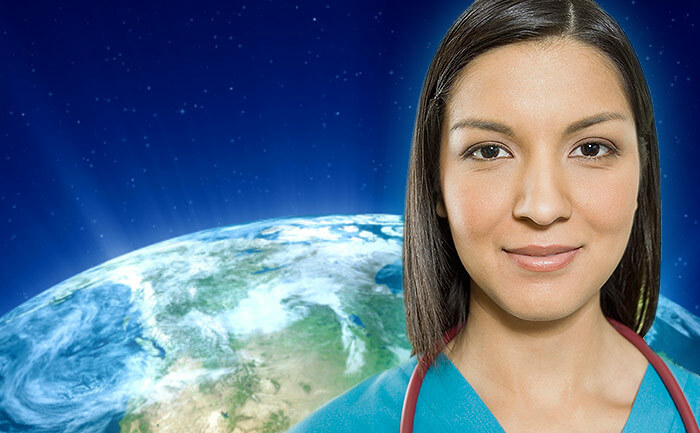 International applicants applying from outside of Canada must obtain an International Criminal Record Check from each country in which they have practised nursing in the last 5 years. Canadian and International Criminal Record Checks are to be obtained through CSI Screening at www.csiscreening.com. The timelines for receipt of International Criminal Record Check reports can vary depending on the country. Criminal record checks are valid for 6 months from the date of issue.